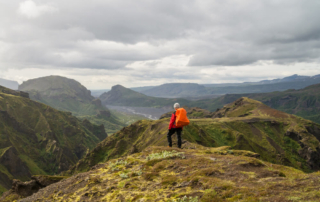 Experience Iceland’s most popular hiking route and discover the wonders of Fimmvorduhals Volcano area. 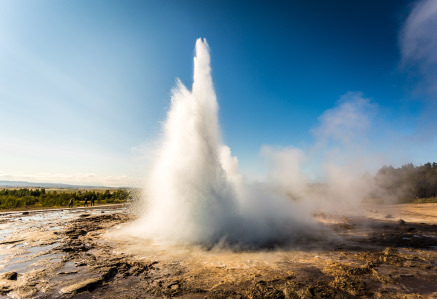 This amazing tour takes you up from Skógar, along Skógá River and past its many waterfalls, into the stunning sites of Eyjafjallajokull og Myrdalsjokull. 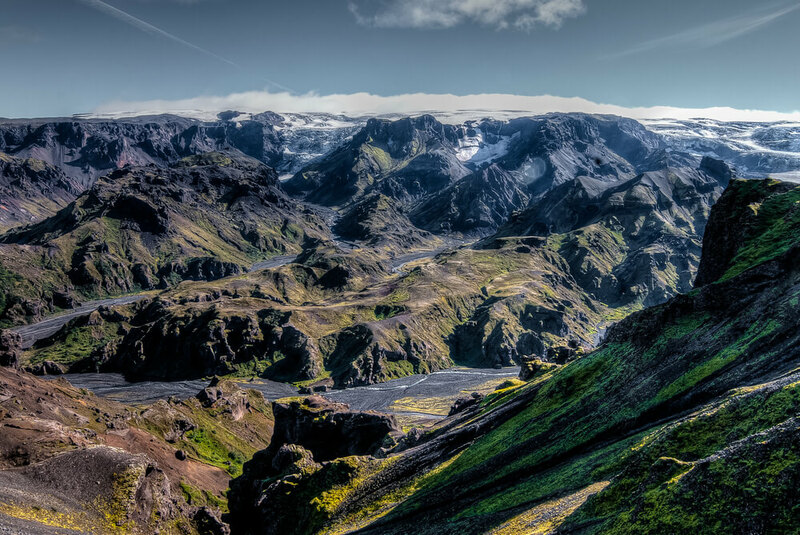 At that point you will witness the newly formed lava fields and craters, craters, Magni and Móði. There the fresh lava is still steaming under the surface and the heat of the lava can still be felt. This tour is demanding and some effort and certain endurance is required. Good health and some hiking experience is required. Involves carrying your own gear. 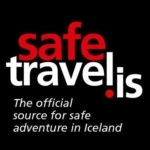 If you are up for an adventure this is your tour! 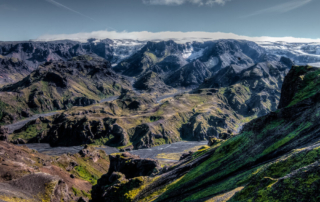 The Fimmvörðuháls pass from Skógar to Thorsmork is one of Iceland’s most popular hiking routes. 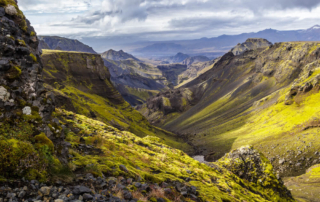 The trail takes us up from Skógar, along Skógá River and past its many waterfalls. We continue up between the two glaciers, Eyjafjallajokull and Mýrdalsjökull, to the recently formed lava and the new craters, Magni and Móði. Here the fresh lava is still steaming under the surface and the heat of the lava can still be felt. 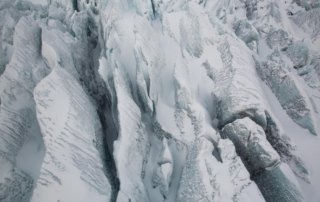 Heading down from the craters to the magnificent Thorsmork glacier valley, we continue to enjoy more geological features as well as some amazing views over the highlands of Iceland and the surrounding glaciers. Given that we have time in Thorsmork we enjoy our dinner in the fairy tale landscape that surrounds the valley before we head back to Reykjavik on the bus.